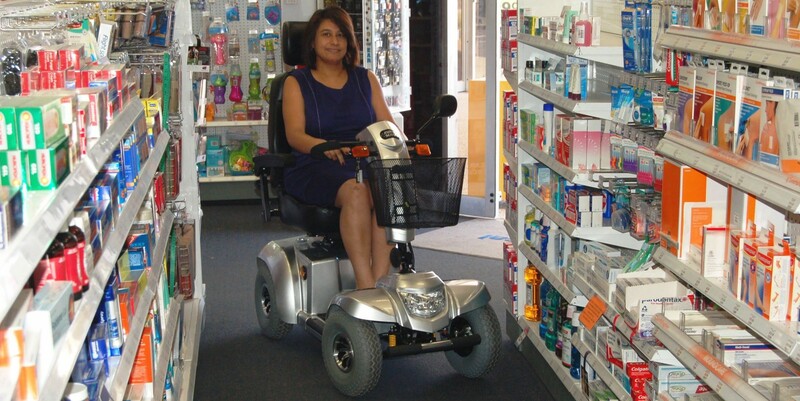 We supply & service a complete range of quality new and used Mobility Scooters. We also have a range of accessories for sale. We will provide you with the best solution for your individual situation. We can come to you for a FREE test drive and make sure you get the right scooter for your unique surrounds, property and lifestyle. We stand by every scooter we sell and guarantee you’ll love it or your money back. Terry came to our home and answered our questions, we took the Jitterbug Scooter for a test drive and were really impressed. Great service and I’d recommend Ability Scooters to anyone. Dad’s excited about his new scooter. It’s all he’s talked about lately. It really has helped him get his independence back and he has a new lease on life. Thanks for your patience and support in the process. There are many reasons why you will benefit from owning an Ability Scooter. The scooter will give you the independence and freedom of not relying on family and friends or public transport. With a very low running cost a scooter is a much cheaper option than public transport, car or a taxi. A scooter is also very convenient, it will save you time not having to wait for anyone and you can park it right outside the shops. If you're searching online for mobility scooters, mobility scooter batteries or mobility scooter repair, you've come to the right place. We have low overheads and can keep the price of our scooters low. We have a scooters at price to suit everyone. We have a scooter to suit everyone. There are 6 models in the range from ultralight portable folding scooters to large scooters with heavy duty suspension. There is also a large range of accessories to suit every model. We often have used scooters for sale also. We have trained staff who can handle any question you may have. We provide comprehensive training when you purchase a scooter. The training covers all aspects of using a scooter. Day to day care, adjusting settings and controls to suit you, charging the battery, how to use over different terrain and the accessories available are all covered. Batteries 6 months, electric & components 2 years (excluding tyres, brushes & fuses) and frames 3 years. We’ve partnered with an overseas supplier that is an industry leader. The quality of the scooters is such that we can offer the best warranty in the market. With many models and options, choosing a scooter can be confusing. Having a FREE test drive and home demonstration will give you an indication of which scooter will suit your property, surroundings and lifestyle.